if she happens to be a female!! As always, there is a prize up for grabs!!! 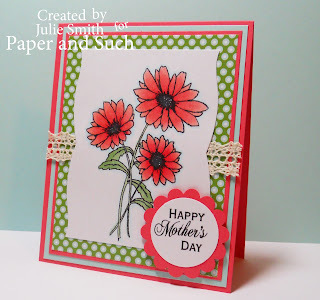 Beautiful card, so pretty! I just love the colors you used!